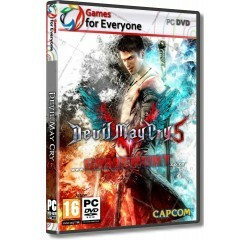 Devil May Cry 5 - R200,00 : Game Hunt, Where we lead, others follow. High octane stylized action - Featuring three playable characters each with a radically different stylish combat play style as they take on the city overrun with demons. Groundbreaking graphics - Developed with Capcom's in-house proprietary RE engine, the series continues to achieve new heights in fidelity with graphics that utilize photorealistic character designs and stunning lighting and environmental effects. Take down the demonic invasion - Battle against epic bosses in adrenaline fueled fights across the over-run Red Grave City all to the beat of a truly killer soundtrack. Processor - Intel Core i5-4460 or AMD FX-6300, or better® or equivalent AMD® processor.